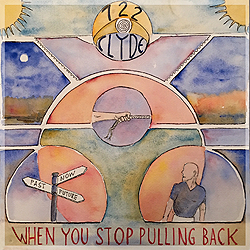 “When You Stop Pulling Back”, is the sophomore release from Singer / Songwriter Bryan Hansen and his band. Following Bryan’s 2013 LP “Brothers Among Wolves”, the follow-up record features 11 original songs produced by Grammy Nominated Producer Stephen Kaminski. The songs are a mix of R&B, Adult Alternative and Neo Soul, driven by band members William Blakey, Wil Caldwell and Cwan Merritt. The Bryan Hansen Band recorded the tracks at Submergent Recording Studio in Middletown, NJ with engineer Pete Andrews. Vocals were done at Crowne Stone Studios in Plainfield, Ill.
For fans of the “Brothers Among Wolves” album, there is a significant difference in style and overall tone of these songs. 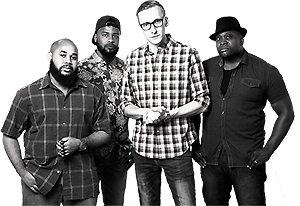 The band’s single “Tasteless”, which was released this summer, is a throwback to old school Soul. Driving bass and drums sit right in the pocket while a Cornet and flute hover over a beautiful vocal melody line. “This album is extremely personal to me because it’s a tribute to my father, who we lost in 2014. My dad put the guitar in my hands at age 10 and it changed my life forever” says Bryan Hansen. The album’s title comes from the track “Tug Of War”, which is dealing with loss and the irony of winning the game when the opponent lets go of the rope. Songs like “Dreaming Awake” and “Mirror”, refer to the constant drive and dedication that the group has in pursuing a music career.